A great wing place in the heart of Pilsen. 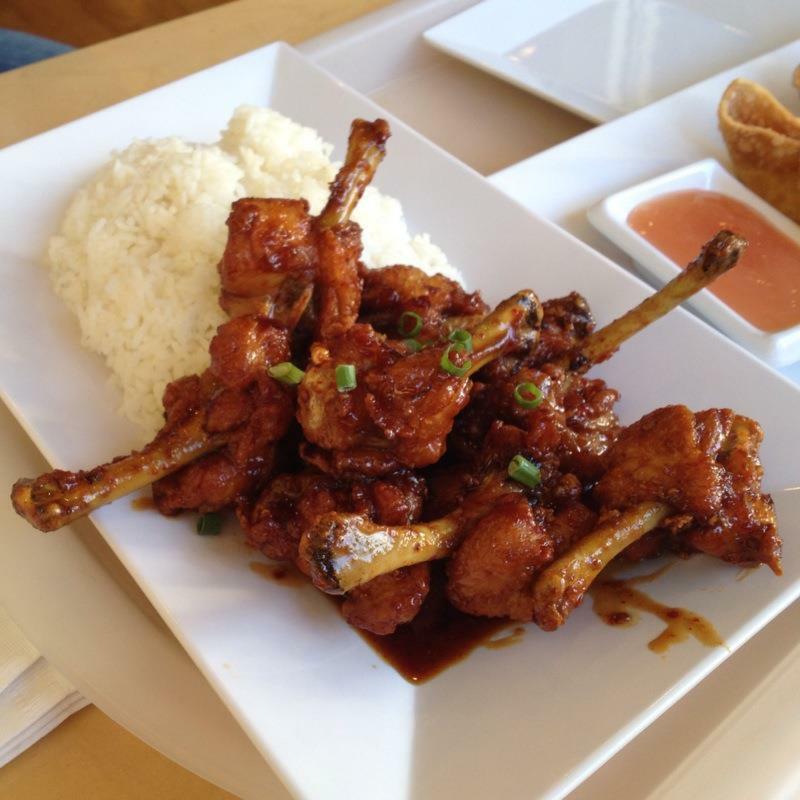 Take Me Out focuses on Asian flavors rather than the typical buffalo American style. I always wonder why an Asian wing place would open in the middle of Chicago's "Mexican neighborhood," but after trying these wings I understand. The atmosphere is a very clean restaurant with just a few tables. I think their concept was more take out rather than eat in. 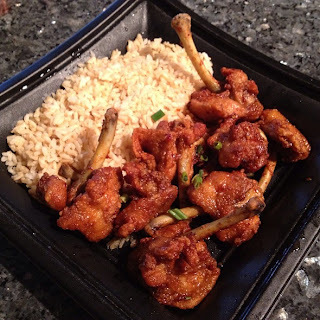 I was a huge fan of Great Sea Chinese Restaurant's wings, and when I found out this was the sister restaurant, I knew I would be hooked. Personally, I like the original better because I find them to be a little crunchier. Maybe it is just me being biased but that is why I gave it a 3.5 mile rather than 4. 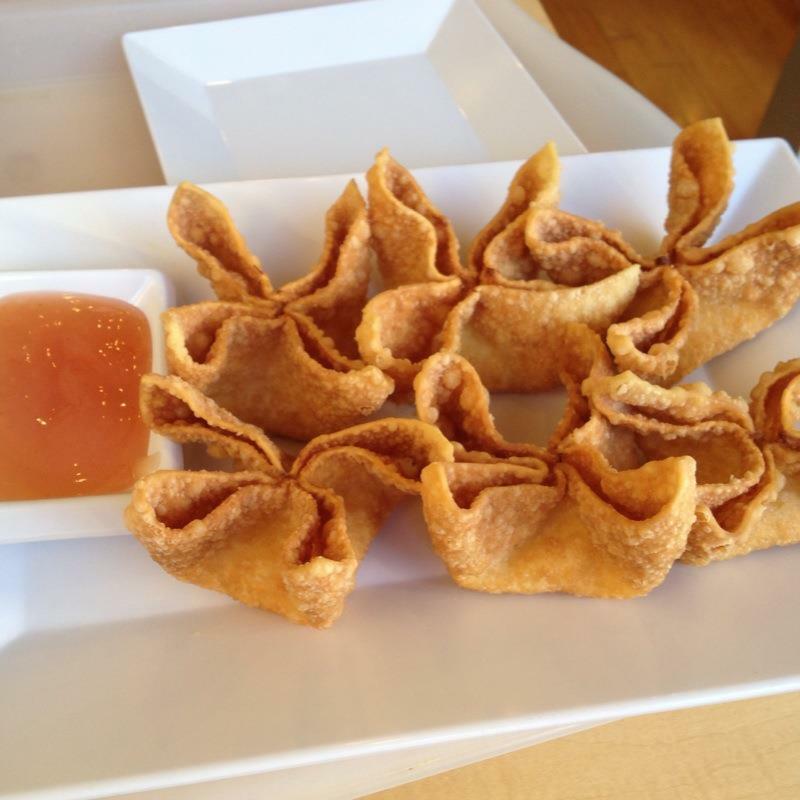 Served piping hot and made to order, these crab rangoon are extremely crispy! They are served with a side of sweet and sour sauce which is perfect for the appetizer. Unfortunately, the filling was majority cream cheese with not much crab flavor. I did enjoy how the cream cheese was melted from being freshly fried. These chicken wings are delicious. The flavors are strong but not too spicy. Each order comes with around eight wings and it seems like they are "lollipops" because they specially prepare them by exposing the bone and having the meat bunch up at the top. The meat wasn't as tender as I hoped for and also most of the flavor is directly from the sauce... The dish is simply garnished with chopped scallions. I do wish they had extra sauce to mix with the white rice. The medium spiced wings are also addicting. Not having the slight burn is nice, but I still prefer the spicy ones. This time we had brown rice as opposed to the white rice or purple rice option. I have also had these to go and enjoy them still crispy at home! - Make sure to get the spicy wings... I enjoy spicy wings and they still weren't that spicy. - Don't count this place out because it is in the middle of Pilsen... there are plenty of Mexican Restaurants in this neighborhood but these wings are delicious.